Small batch specialty coffee roaster. We offer freshly roasted coffee by the pound and by the once. Coffee beans are also available for wholesale. Our cafe location also offers a wonderful verity of coffee drinks, chai’s, ciders, and more. While serving on opposite deployment schedules in the Navy, we decided that we needed to find another way to be together. This drove us to start our Coffee Roasting company and Café. We founded our company as a Coffee Roaster in the Spring of 2016 in a pop up tent at a local farmers market. That fall we moved to a brick and mortar location and started the Café side of our company, due to the roasting side of our company quickly expanding we out grew our first location and are now in our current space. 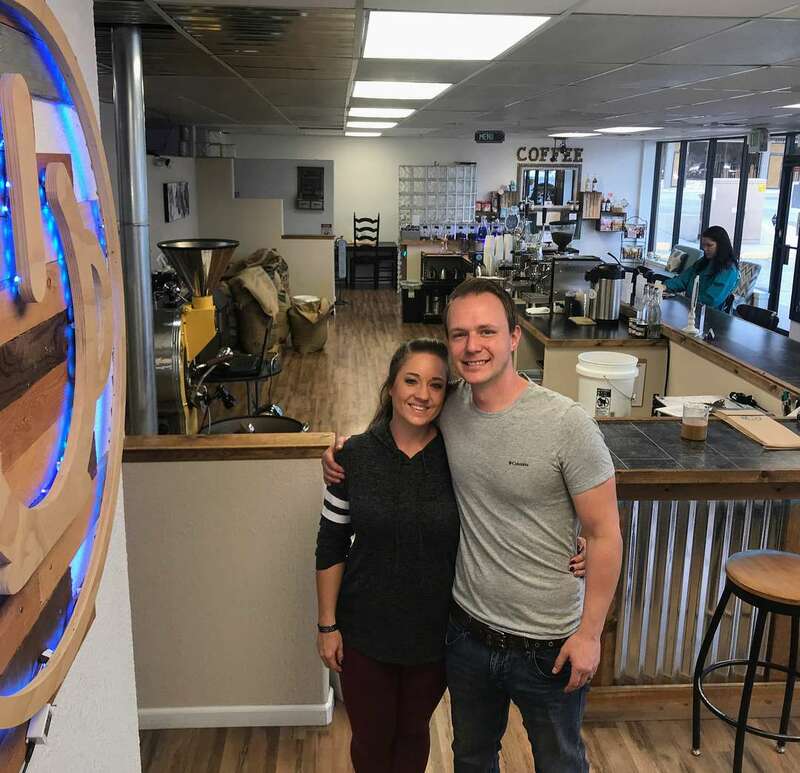 We love to try and work with the local community when we can and support some of what makes Colorado Springs great and unique and that is the small businesses.